Principles of proper administration form the basis of legitimate and due government. These include the prohibition to use a public competence for non legitimate purposes, and the principles of due care, reasonability, legal certainty, trust, proportionality, and motivation. 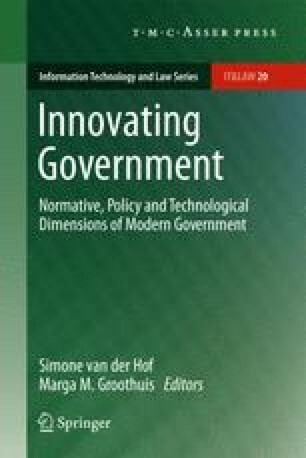 This chapter explores current developments in the use of biometrics in the Netherlands in the wider context of the shift towards eGovernment. New forms of information handling in eGovernment are of course, also bound by the above principles. This raises some questions which need to be answered. Does eGovernment pose new challenges to the value of principles of proper administration in practice? Are the principles of proper administration rigorously applied to the introduction of biometric data in government information systems? With these questions in mind, I will give a short overview of the current use of biometric technologies and assess their impact on the evolving information structure of Dutch eGovernment.